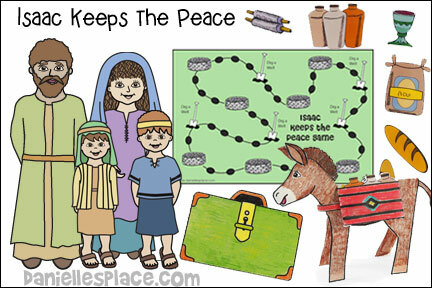 The following crafts and activirties come from the Bible lesson "Isacc Keeps the Peace" on The Resource Room. A complete lesson is included with these crafts. 1. 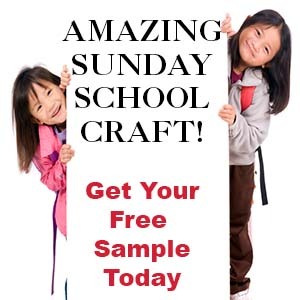 Before class print out the suitcase patterns, Bible verse patterns and objects that go in them. 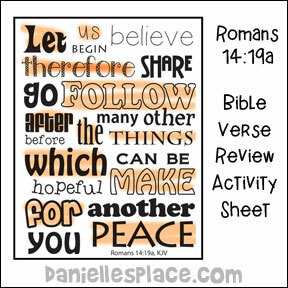 (Printable patterns available to members on The Resource Room. 2. 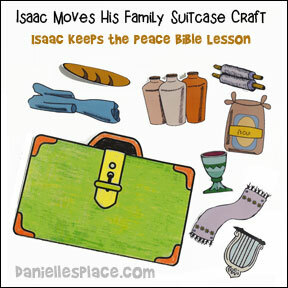 In class have your children pick what they think Isaac and his family might have packed to move and glue them inside the suitcase with the Bible verse. 3. Alternative Craft - Tell your children to pretend that they have to move to a new home and that they are only aloud to take five things with them. They must decide what they would take, and then draw pictures of those things inside the suitcase. At the end of the lesson, ask them to share what they drew inside their suitcases. Ask the children if they have ever had to move into a new house. Ask them how they felt about moving and what they remember about that day. Tell them that today we are going to talk about a family that had to move several times. 1. Before class print out the donkey pattern on to cardstock and cut them out. 3. In class have your children color the donkey patterns. 4. When they are finished coloring fold the donkey pattern in half along the back. 5. While the donkey is still folded in half, fold the neck of the donkey on all the dotted lines both backward and forwards. 6. Unfold the donkey and fold up the neck by pressing down on the middle fold bringing the other two lines together. 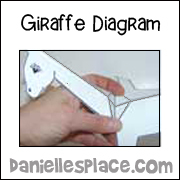 See the diagram of the giraffe below. 7. Glue on the ears and mane, and then glue the top of the head together just above the eyes. Glue on the tail and spread out the legs so the donkey stands up. 8. To make the donkey's pack fold the top and bottom rectangles up on both sides. Fold the side tabs on the two rectangles back and glue them to the back of the pattern. Then fold the center line down. 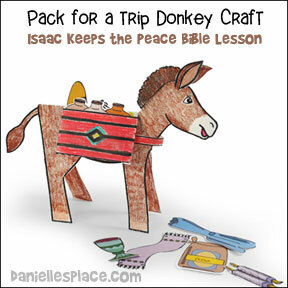 Place the pack on the donkey and glue the strip around the neck and to the pack to keep it on the donkey. 9. Let your children pick what they would like to put in the donkey's pack. As they work, ask them what they think Isaac's family might have packed and what they would pack if they had to move. Invitation Envelopes 4 3/8" x 5 3/4"
2. 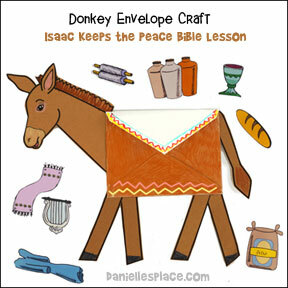 In class have your children color an envelope to look like a pack that might be placed on a donkey to help it carry a heavy load. 3. Glue the head, tail and legs to the back of the envelope. 4. Place the household objects. Have your children take turns sharing what they decided to put in their suitcases. Then see how many things the children can remember. I had the boys share what they put in their suitcases first and then gave the girls candy rewards for everything they remembered. Then I had the girls share what they packed and gave the boys candy rewards for everything they remembered. 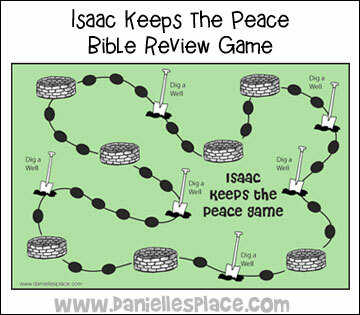 In this game children pretend they are Isaac and travel around the board claiming wells when they land on them. The child who has the most wells wins. 1. To start have your children place their markers anywhere they want on the board except on a well or "Dig a Well" space. 2. Have them take turns rolling a die and then moving the amount of spaces rolled. They can move backward or forward depending on which way they think is better. If they land on a well, they can claim the well by placing one of their stickers on it. No other player can claim that well. If they land on a "Dig a Well", they try to answer a questions. If they answer the question correctly, they get to take another turn. They can only take two turns in a row even if they land on another "Dig a Well" space. When all the wells are claimed the game is over. The player who has the most wells wins. 2. In class have your children color and tape onto an empty tin can. 1. Before class print out the sheets and make copies. 2. 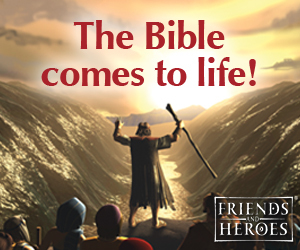 In class go over the Bible verse several times and ask your children if they think they remember it. 3. Pass out the sheets and tell them to highlight every word to spell out the Bible. This game is not appropriate for Sunday school because the children get wet, but it would work great for an after school kids club. 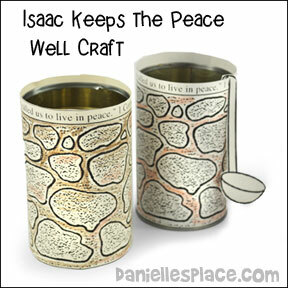 Make three of the well pencil holders above and laminate the patterns before you tape them to the can. Put a small amount of water in one can, fill the other can half full, and leave one can empty. Also make markers with the numbers 1, 2 and 3 written on them. Tape them to the table. Place the cans on the table one behind each number. Have the children take turns sitting in front of the table with the cans on it so that they are facing away from the table. Have someone mix up the cans. The child sitting in front of the table guesses which can has the water in it, or not, and says a number. The person who is taking care of the cans then picks up that can and pours it on the head of the guesser without the guesser turning around to see which can he has picked. Keep playing until all the children have had a chance to guess. Copyright © 2000, Digital by Design Inc.